In the woods behind my parents’ house, we often hear the familiar call of wild turkeys. We see them at the forest edge as they move into the pasture to feed. Each time we visit Grandma and Papa, my son has to go on a hunt for turkey feathers. He knows right where to go. Between the pasture and the thick brush at the edge of the woods, there is a clearing still under the canopy of trees where the turkeys like to visit. There is always at least one turkey feather to be found. Being the homeschool mom that I am, I decided to use his found treasures as a science lesson. Turkey feathers are great feathers to study because of their size. 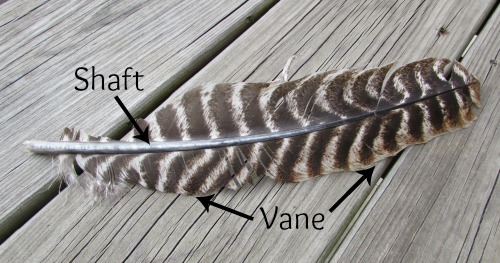 You can see the structures of the feathers more easily on a turkey feather than on a small sparrow feather you might find in your yard. The part of the shaft that is seen outside of the body of the bird is called the rachis. The vane of the feather is made up of barbs that extend out from the rachis. These barbs have tiny barbules with hooklets that tie each other together and give the feather its smooth appearance and shape. 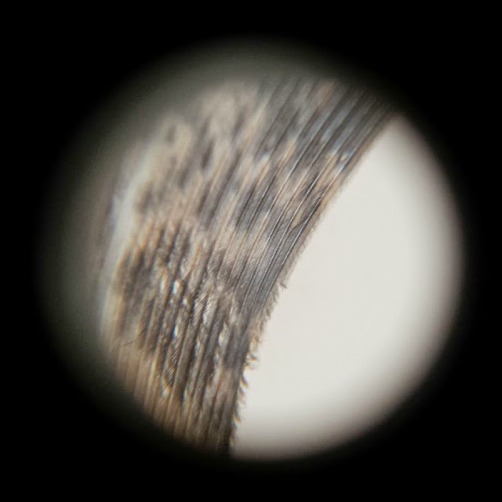 Using a hand-held magnifier, you can easily investigate the tiny details of feathers that give them their unique properties. Adult turkeys have between 5000 and 6000 feathers. Male turkeys have colorful, iridescent feathers of bronze, green, red, and gold. Turkey feathers are used for crafts, fly fishing lures, and quill pens. If you live in an area where turkeys are found, look in open areas at the forest edge where turkeys might be foraging for food. Craft stores: Many craft stores carry turkey feathers for craft or art projects. Often, the cheap colored feathers in the kids craft section are actually turkey feathers! Online: Just Google turkey feathers. Lots of online retailers carry them. 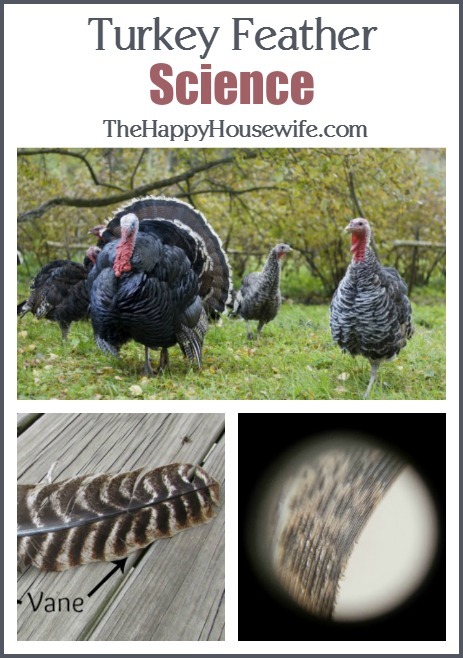 Check out The Homeschool Scientist’s Turkey Unit Study Resources post! « Darice Art Set only $9.45: Ships Free! This is fabulous! Thank you for posting! I will be sharing this on my blog! Happy Thanksgiving.